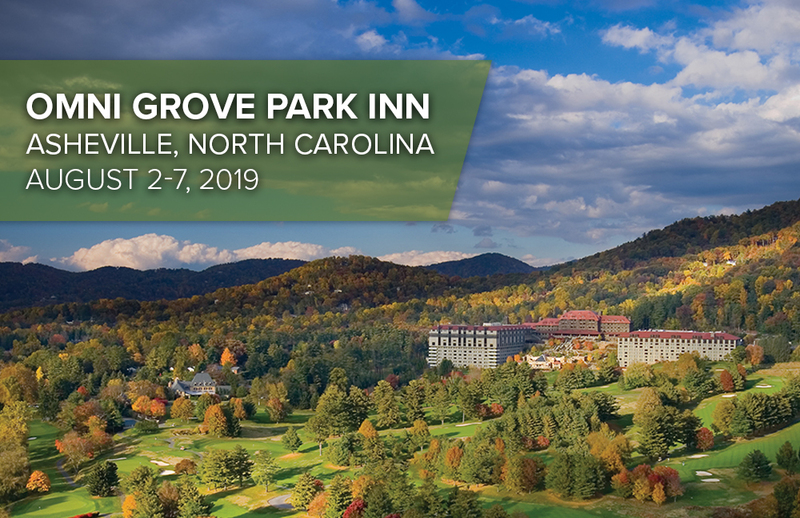 Plan now to attend the 36th International Sweetener Symposium, to be held August 2-7, 2019, at the Omni Grove Park Inn in Asheville, North Carolina. This year’s Symposium is a must attend event for all stakeholders to learn about the most pressing issues facing the industry. A look at the markets. Can America’s farm families secure the financing necessary to survive today’s troubled times? How are low commodity prices and falling farm incomes threatening the future of the family farm and harming rural communities? What impact will international crisis issues like EU sugar policy changes, as well as WTO disputes, have on global prices? Policy preview. Will an aggressive trade agenda yield new agreements that harm U.S. sugar producers? How is the new Congress working and what should we expect as the 2020 election season comes into focus? How is the USDA ensuring an accurate WASDE which is vital for a stable U.S. sugar market? How have the U.S.-Mexico suspension agreements worked, and what is the outlook for the 2020 sunset reviews of those agreements? Food industry insights. Are attacks on sugar consumption affecting domestic and global sugar demand and how is the food industry responding? What are the latest trends and consumer preferences? How can U.S. sugar producers and food manufacturers join forces to advance sustainable production and policies to encourage responsible farming practices worldwide? Renowned industry experts, key policymakers and industry leaders from the U.S. and international communities will address these important topics. Click here to learn more about the Omni Grove Park Inn! Open since 1913, the Omni Grove Park Inn is comprised of the historic Main Inn featuring renovated rooms typical of the period, as well as two contemporary wings of sleeping rooms. The resort features a world-class spa, the Donald Ross designed 18-hole championship golf course, exquisite dining experiences, a sports complex, a village of shops and boutiques, a children’s center, and more. Lodging includes historic rooms, and modern rooms. The Symposium room block is now open. Please make your lodging arrangements via Omni’s web link 2019 Sweetener Symposium – Omni Grove Park Inn Room Reservations or by calling 1-800-438-5800 and referring to the “American Sugar Alliance” room block. The Symposium discounted rate is a run-of-house (ROH) rate of $299 (plus taxes and fees). The run-of-house rate may include a mix of rooms in the Main Inn, the Sammons Wing or the Vanderbilt wing. If you wish to guarantee a specific room type or view, upgrade pricing is available via Omni’s web link as well. *Note: If you are unable to secure a room reservation at the Omni Grove Park Inn and would like to be added to ASA’s internal wait list, please email us at symposium@sugaralliance.org. In the meantime, please secure lodging at an alternate hotel. Click here to learn more about beautiful Asheville, NC! Located in the northwestern corner of North Carolina, Asheville is nestled in the Blue Ridge Mountains at a comfortable altitude of 2,300 ft. above sea level. It boasts Appalachian charm, picturesque views, and a bounty of outdoor activities including hiking, mountain biking, whitewater rafting, hot air ballooning, and many other activities. The area is also well known for its cultural, architectural and historical attractions. One of the primary attractions is the Biltmore Estate, the world’s largest private home, built by George Vanderbilt in 1895. The eclectic town of Asheville is less than two miles away from the Omni Grove Park Inn and is home to galleries and restaurants, numerous boutiques and shops, and the second largest collection of art deco architecture in the United States. The area is also famous for its Appalachian arts and crafts, attractions, and breathtaking views on America’s most scenic highway – the Blue Ridge Parkway. Click here to learn about transportation options to Asheville, NC! Getting to Asheville is easy with the Asheville airport located just 9 miles from the resort. Additional area airports include, Greenville, SC (1.5 hours), Charlotte, NC (2 hours) and Knoxville, TN (2 hours). Traditionally 400-500 people attend the Symposium to hear the most significant and timely issues affecting the industry and to network with their sweetener industry colleagues. In addition to the compelling program content, the Symposium schedule allows free time every afternoon to enhance your industry relations in this comfortable setting. Preliminary program and registration materials available in May. This is one sweetener industry meeting you won’t want to miss—mark your calendar for this important must-attend event!